The best F-15 sound effects library for game developers with detailed instructions on how to use it. For the library we used real field recordings of F-15. 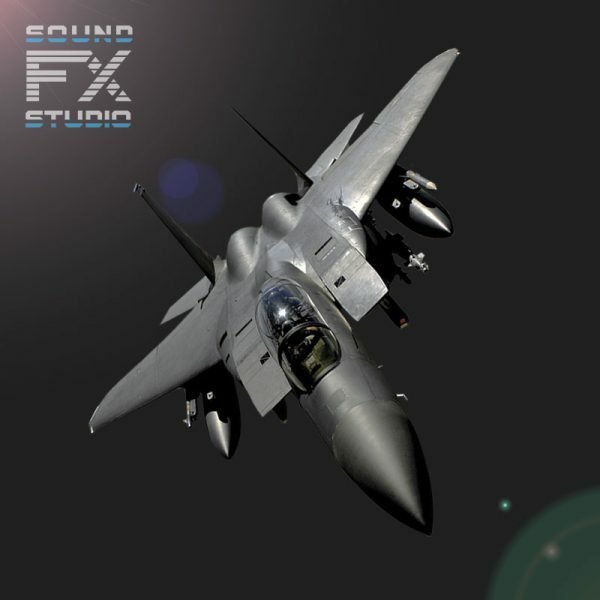 The F-15 Eagle SFX sound library includes 17 seamless loops and 12 special sound effects. Using them together, your F-15 comes to life! The McDonnell Douglas F-15 Eagle is an American Jet designed by McDonnell Douglas. The F-15 first flew in July 1972, entered service in 1976. It’s among the most successful modern fighters! It Has A Perfect Record In Air-To-Air Combat. The F-15 has over 100 kills against zero losses. All of our jets are based on the same implementation principle with the same functions. Therefore, when you configure F-15 for your project, you can easily use other jets from soundfx.studio.